Vaxart, Inc. (NASDAQ: VXRT) shares surged 42.11 percent to close at $2.34 on Tuesday after the company initiated a Phase 1b clinical trial for its bivalent norovirus vaccine. Sorrento Therapeutics, Inc. (NASDAQ: SRNE) shares gained 39.64 percent to close at $3.84. IMAC Holdings, Inc. (NASDAQ: IMAC) shares gained 34.54 percent to close at $4.09. Chaparral Energy, Inc. (NYSE: CHAP) rose 26.01 percent to close at $5.62. The9 Limited (NASDAQ: NCTY) surged 24.88 percent to close at $2.56. Realm Therapeutics Plc (NASDAQ: RLM) climbed 23.1 percent to close at $4.19. Iterum Therapeutics plc (NASDAQ: ITRM) rose 22.34 percent to close at $6.90. Iterum Therapeutics received QIDP for oral and intravenous formulations of sulopenem in four additional indications as well as Fast Track designation. Blucora Inc (NASDAQ: BCOR) gained 18.75 percent to close at $33.69 after the company reported a $100 million buyback, raised its FY19 EPS and sales guidance, and announced it will acquire 1st Global for $180 million. Aytu Bioscience Inc (NASDAQ: AYTU) rose 18.6 percent to close at $2.04 after the company announced two recent publications highlighting summarized findings from its MY-T study. StoneCo Ltd. (NASDAQ: STNE) shares surged 18.41 percent to close at $40.97 after the company reported higher-than-expected Q4 EPS and sales results. Soliton, Inc. (NASDAQ: SOLY) gained 17.55 percent to close at $7.30. Soliton completed clinical trials for initial FDA filing for tattoo indication. Aravive, Inc. (NASDAQ: ARAV) surged 16.52 percent to close at $7.69. Aravive announced retrospective analysis showing increased GAS6 levels associated with chemoresistance and decreased progression free survival in ovarian cancer. Miragen Therapeutics, Inc. (NASDAQ: MGEN) rose 16.49 percent to close at $3.32. ENDRA Life Sciences Inc. (NASDAQ: NDRA) shares gained 16.18 percent to close at $2.80. Zynerba Pharmaceuticals, Inc. (NASDAQ: ZYNE) surged 14.67 percent to close at $5.57. Altimmune, Inc. (NASDAQ: ALT) climbed 14.64 percent to close at $3.32 after reporting 'positive' results from NasoVAX extension study'. Constellation Pharmaceuticals, Inc. (NASDAQ: CNST) gained 14 percent to close at $11.40. Forterra, Inc. (NASDAQ: FRTA) rose 13.27 percent to close at $4.58. Catalyst Pharmaceuticals, Inc. (NASDAQ: CPRX) rose 12.99 percent to close at $3.48. Catalyst Pharmaceuticals reported a loss of 14 cents per share compared to the loss of 6 cents per share a year ago and the 12 cents per share consensus estimate. The company reported revenues of $500,000 for the recent fourth quarter. Axsome Therapeutics, Inc. (NASDAQ: AXSM) shares rose 12.9 percent to close at $12.95. Blink Charging Co. (NASDAQ: BLNK) shares gained 12.64 percent to close at $3.06 after the company announced a joint venture with Eunice Energy Group. The joint venture will target European markets, starting with Greece. Corindus Vascular Robotics, Inc. (NYSE: CVRS) shares rose 12.44 percent to close at $2.26. 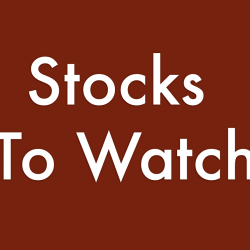 Wrap Technologies, Inc. (NASDAQ: WRTC) climbed 12.36 percent to close at $6.00. Tredegar Corporation (NYSE: TG) rose 12.14 percent to close at $19.03 following Q4 earnings. Dermira, Inc. (NASDAQ: DERM) gained 12.05 percent to close at $14.13. Dermira reported a $110 million common stock offering. Advanced Micro Devices, Inc. (NASDAQ: AMD) gained 12.04 percent to close at $26.00. Shares of several semiconductor companies are trading higher after NVIDIA teamed up with Amazon Web Services IoT to bring AI to millions of connected devices. Evolus, Inc. (NASDAQ: EOLS) rose 11.74 percent to close at $26.57, despite reporting mixed Q4 EPS, after the company secured a $100 million debt facility with Oxford Finance LLC. 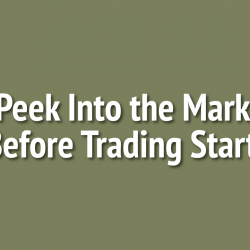 Rocket Pharmaceuticals, Inc. (NASDAQ: RCKT) climbed 11.04 percent to close at $18.50. Arco Platform Limited (NASDAQ: ARCE) gained 10.95 percent to close at $29.24. Assertio Therapeutics, Inc. (NASDAQ: ASRT) rose 10.8 percent to close at $4.72. Sibanye Gold Limited (NYSE: SBGL) rose 9.51 percent to close at $4.49. Corbus Pharmaceuticals Holdings Inc (NASDAQ: CRBP) gained 8.88 percent to close at $7.47 after Oppenheimer initiated an Outperform rating on the stock and announced a $28 price target. Ferro Corporation (NYSE: FOE) gained 8.47 percent to close at $20.49 after S&P Dow Jones Indices announced that Ferro will replace First Financial Bankshares in the S&P SmallCap 600 on Friday, March 22. Michaels Companies Inc (NASDAQ: MIK) rose 8.31 percent to close at $12.79 after reporting better-than-expected results for its fourth quarter. Syneos Health, Inc. (NASDAQ: SYNH) rose 8.25 percent to close at $51.40 after the company reported higher-than-expected Q4 EPS results. The company also issued FY19 EPS guidance on the high-end of analyst estimates. KalVista Pharmaceuticals, Inc. (NASDAQ: KALV) shares rose 7.18 percent to close at $28.22. Professional Diversity Network, Inc. (NASDAQ: IPDN) gained 7.14 percent to close at $3.00. SemiLEDs Corporation (NASDAQ: LEDS) gained 6.74 percent to close at $3.80. Tronox Ltd (NYSE: TROX) gained 5.22 percent to close at $12.70 following a media report the company will be selling its North American titanium dioxide business for $700 million. X Financial (NYSE: XYF) shares rose 4.7 percent to close at $6.47 following Q4 results. Fiat Chrysler Automobiles N.V. (NYSE: FCAU) shares rose 4 percent to close at $15.11 after the Peugeot family hinted it could be interested in acquiring Fiat as a part of PSA Group. NVIDIA Corporation (NASDAQ: NVDA) rose 3.9 percent to close at $175.71 after the company teamed up with Amazon Web Services IoT to bring AI to millions of connected devices. resTORbio, Inc. (NASDAQ: TORC) tumbled 22.87 percent to close at $6.98 after the company reported Q4 results and announced a $50 million common stock offering. Urovant Sciences Ltd (NASDAQ: UROV) shares dropped 20.92 percent to close at $11.00 after the company announced its Vibegron met its primary endpoints in a phase 3 trial. AquaBounty Technologies, Inc. (NASDAQ: AQB) dropped 20.36 percent to close at $2.2300. AquaBounty priced its 3.35 million share common stock offering at $2.25 per share. Phunware Inc. (NASDAQ: PHUN) shares dropped 18.63 percent to close at $41.50. PHI, Inc. (NASDAQ: PHII) declined 18.47 percent to close at $2.02 following Q4 results. Selecta Biosciences, Inc. (NASDAQ: SELB) shares declined 17.97 percent to close at $2.52. Emerge Energy Services LP (NYSE: EMES) fell 16.73 percent to close at $2.09. Liquidia Technologies, Inc. (NASDAQ: LQDA) dipped 15.45 percent to close at $15.21 after reporting a proposed 3 million share common stock offering. DSW Inc. (NYSE: DSW) shares dropped 12.89 percent to close at $22.09 after reporting downbeat quarterly earnings. Daré Bioscience, Inc. (NASDAQ: DARE) fell 12.45 percent to close at $1.80. Orion Group Holdings, Inc. (NYSE: ORN) shares dropped 12.26 percent to close at $3.72. Cool Holdings, Inc. (NASDAQ: AWSM) fell 12.1 percent to close at $3.10. B Communications Ltd (NASDAQ: BCOM) shares dropped 12.09 percent to close at $3.4800. Globus Maritime Limited (NASDAQ: GLBS) dipped 11.71 percent to close at $4.07. Soleno Therapeutics, Inc. (NASDAQ: SLNO) shares declined 11.63 percent to close at $2.28. Pareteum Corporation (NASDAQ: TEUM) dropped 11.4 percent to close at $5.05. NanoString Technologies, Inc. (NASDAQ: NSTG) dipped 10.96 percent to close at $24.28 after reporting a 4.5 million share common stock offering. Titan Medical Inc. (NASDAQ: TMDI) fell 10.54 percent to close at $2.9950. Innovate Biopharmaceuticals, Inc. (NASDAQ: INNT) fell 10.48 percent to close at $2.2200 after climbing 14.9439 percent on Monday. Gritstone Oncology, Inc. (NASDAQ: GRTS) dropped 9.97 percent to close at $11.92. Bio-Path Holdings, Inc. (NASDAQ: BPTH) dipped 9.68 percent to close at $25.20. PFSweb, Inc. (NASDAQ: PFSW) fell 9.59 percent to close at $5.75 after reporting downbeat Q4 earnings. Esperion Therapeutics, Inc. (NASDAQ: ESPR) dropped 9.48 percent to close at $43.95. Covenant Transportation Group, Inc. (NASDAQ: CVTI) fell 8.36 percent to close at $19.61 on worse-than-expected Q1 guidance. Revlon Inc (NYSE: REV) declined 6.87 percent to close at $18.02 after the company reported lower-than-expected Q4 EPS and sales results. Del Taco Restaurants, Inc. (NASDAQ: TACO) fell 6.61 percent to close at $9.89 after the company reporter lower-than-expected Q4 EPS results. The company also issued FY19 EPS guidance below analyst estimates and FY19 sales on the low-end of analyst estimates. Cactus Inc (NYSE: WHD) dropped 4.9 percent to close at $35.88 after a shareholder of the company priced an 8.5 million share offering at $36.25 per share. Yext, Inc. (NYSE: YEXT) shares fell 4.2 percent to close at $22.04. Yext priced its 6.1 million share offering of common stock at $21.50 per share.